Real-time transit directions in San Francisco.Rover uses real-time public transit data to give you the bestroute, right now, to your destination. Always get the best route to your destination. Rover tracks allMUNI, BART, and Caltrain lines and gives you directions that makesense right now, so you don't have to wait or worry about missing aconnection. Currently supporting SF MUNI, BART, and Caltrain in the SF BayArea. Real-time transit directions in San Francisco.Rover uses real-time public transit data to give you the bestroute, right now, to your destination.Always get the best route to your destination. Rover tracks allMUNI, BART, and Caltrain lines and gives you directions that makesense right now, so you don't have to wait or worry about missing aconnection.Currently supporting SF MUNI, BART, and Caltrain in the SF BayArea. Rover is the #1 pet sitting and dog walking app. Get trusted petcare in your neighborhood. 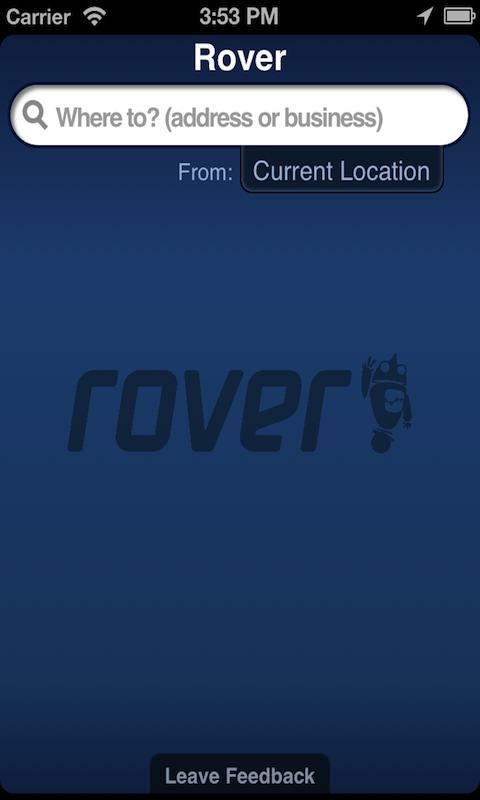 The Rover app was created for dog peopleby The Dog PeopleTM. Through the app, get adorable photo updates,GPS tracking of your dog’s walk, an easy way to message sitters ormanage your business, and a secure way to book and pay. With over100,000 pet sitters and dog walkers in the U.S. and Canada, Rovermakes it easy to book pet care you can trust. PEACE OF MIND • 95%of reviewed services receive a perfect 5-star rating. • Roveraccepts less than 20% of potential sitters, because your dogdeserves the best. 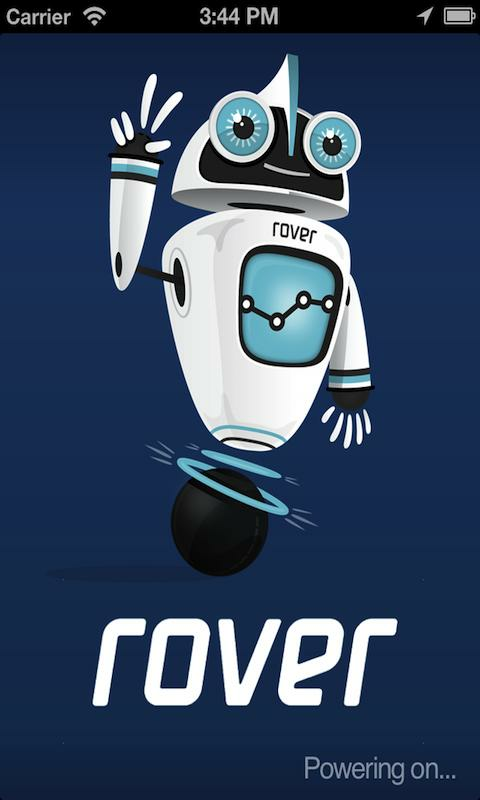 • Every service booked on Rover is backed by TheRover Guarantee and 24/7 support. FAST & EASY • Contact andmessage sitters and dog walkers, right from the app. Receivemessages from sitters when you're on the go. • Hassle-free andsecure payments, every time. • Get a map of your dog's walk,pee/poo and food/water alerts, and a personalized note from yoursitter or dog walker. FOR PET SITTERS AND DOG WALKERS, TOO • Sendphotos, videos, and messages to pet owners with just a few taps. •Get paid on the go—it’s simple and secure with the Rover app. •Seamlessly manage your business, even if you're at the dog park. •Enable push notifications to respond faster than ever to bookingrequests. • Create Rover Cards to seamlessly share information withyour clients. IN THE PRESS Rover has appeared in: • The New YorkTimes • The Today Show • The Wall Street Journal • USA Today • ABCNews • And many more! Losing a dog is heartbreaking. (We’ve been there! )Our new facialrecognition technology makes finding dogs as quick and easy as thesnap of a photo. See a lost dog? Take a photo, send a text andtogether we can bring every lost dog home. "A big thanks for FindingRover for immediately posting that my dog was lost. She is my childand I am very glad she is back home now and recovering." - FindingRover UserBenefits of Finding Rover’s Facial Recognition for Dogs•If your dog’s collar has come off, his or her face will berecognized on the app and will provide any finder with the contactinformation you provide.• If someone finds your dog but doesn’thave time to look for a microchip, in less than 3 minutes, they cansnap a photo and send a text or give you a call.How Finding Roverworks:• Register your dog so it’s in the database• If someone seesyour lost dog, they snap a photo• Our facial recognition technologydoes a search• They contact you either via phone, email or throughthe app, however you’d like• Soon your best friend will be backhome!Got cute dog pictures? You can also share the smiles onFinding Rover!• Share Photos and Updates of your dog with yourfriends• Enjoy and post cute photos with others in an all-member“pack”• Enjoy and post tips and tricks in an all-member “pack”• Ifyour dog needs a new home, you can also post the news to allmembers in your area.Finding Rover, the new way to protect andcelebrate your best friend. MobileMuni is the FASTEST and EASIEST transitmap app for finding routes and tracking rail, bus, and subwayarrival times for the San Francisco MUNI. Never miss the busagain!MobileMuni for San Francisco lets you:• Look up the MUNI schedule, routes, & stops in an easy to useapp• Get real time rail, bus, and subway arrival and departurepredictions• All Transit is displayed on a beautiful map of SanFrancisco• Find the best stops and routes between any two locations in SanFrancisco using the exclusive ROUTE FINDER. Want to get to AT&TPark for the Giants Game? Simply type "AT&T Park" and tap "FindRoutes", and Route Finder will tell you the best rail, bus, andsubway routes to get you to your destination on time. The best partis that all your transit and transfer information is displayed on aclean map so you can get to your destination.• Find out what a stop looks like before you get there using theexclusive STOP PREVIEW. Tap the eye button when looking at any stopto see a 360º panorama of what the stop looks like in reallife• Find nearby stops for the rail, bus, and subway routes that getyou where you need to go• Discover other rail, bus, and subway routes that service a givenstop• Location tracker lets you see the actual location of buses andtrains on a map, updated in real time• Save favorite stops in a single tap; the schedule and time forthe MUNI buses and trains you use everyday is just a tapaway!• Full app support for the latest Ice Cream Sandwhich and JellyBean devices, including tablets• MobileMuni is so much more than just a muni schedule app. So whatare you waiting for?! Download the #1 Transit tracker map app forthe San Francisco MUNI NOW! Get real time transit arrival times for San Francisco Muni. ♥Features ♥ ♥ Use search to find any stop or route instantly. ♥ Findwhen the bus is coming at particular stop for particular route. ♥Find all the buses coming at a particular stop. ♥ Find businformation by selecting a stop on the map. ♥ Alarm when you reachdestination. ♥ Save favorite stops or routes. ♥ Live location ofbus on map. ♥ Home screen widget. ♥ Uses arrival predictions asprovided by Nextbus.